My reluctant reader has found a series of books that she loves. She's reading two of them a week! And I don't have to nag her to read them. It's rare to see her enjoy reading so much. Seems wonderful, except that the books are below her reading level. They are easy chapter books for grades 2-3, and she's in grade 4. I know she could read more difficult books. Should I push her to challenge herself with a harder book, or just let her enjoy these? Congratulations on wanting what's best for your daughter! It's obvious you understand how important reading is for her future happiness and education, and that you want to do your best to encourage and support her. I think it's wonderful that your youngster is enjoying reading. The idea of a girl who thought of herself as not liking to read, suddenly turning to books for pleasure, fills me with delight. I hope you will allow yourself to be delighted, too. Where do these messages come from that we should "push" our kids, challenge them with difficult material, encourage them to read books that are branded with their grade level? Who says it's the best thing for our kids? It sounds to me as if they are trying to make reading a chore. Let's look at how adults read. I've been a reader all my life. I enjoy reading and would suppose I am a "good" reader. Occasionally, I find a book that's difficult for me. The text is dense, and full of scientific words I don't understand. Sentences are complex. After two paragraphs, I feel like I've run the reading equivalent of a marathon. There is no doubt some would say I should persevere with such a book. It will do me "good". But do I? No. I slip it back on the shelf and find something I'll enjoy. Am I lazy, unchallenged? I just think I'm being practical. I expect to enjoy reading, otherwise I won't do it. The only times I read text that I don't want to read, is when I am a student and it's a course requirement. And then I employ all my wiles to ingest that information as easily as I can. Don't misunderstand. I'm not saying that all learning must be fun or we should abandon it. In our less-than-ideal world, there will be times in all our lives when we must knuckle down and learn something despite there being no perceivable fun or pay-off involved. What I am saying, and I believe this with every fibre of my being, is that if we want kids to LOVE reading, we should let them read what they enjoy, regardless of their perceived ability or grade level. There is nothing wrong with kids reading junior books when they are 16 or even an old chook like me. The key is to let them choose books they want to read. Encourage them to borrow as many books as they want from the library, buy comics from garage sales, whatever they want. If there are books you think they'll love, but they resist, consider sharing those books in a family read-aloud time. That way, you are widening the range of literature they encounter, but still giving them control over their independent reading. When kids LOVE reading, it becomes something they want to do more and more. Books become their friends and open up new worlds for them. They learn to love words and what we can do with them, which in turn fuels their writing, and all their communication skills. Sometimes it seems to me there are forces at work that want to rob our kids of their childhood. By trying to push them into learning they are not ready for, by making everything a competition and comparing our kids to some so-called norm, we are doing them a huge disservice. I believe we must do our best to help our kids love reading. That is the number one priority in my mind. I urge every parent to make it their priority too. Excellent advice, BookChook. If we allow kids to choose books that appeal to them, then it follows that they will read them. And the more they read, the better their reading skills will become. 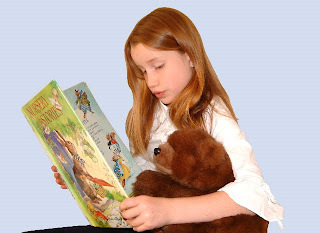 As their confidence grows, they will naturally read books which are gradually more challenging. If your reluctant reader is no longer so reluctant, then that's a good thing. Also,Mom, remember that just because she's in grade four doesn't mean her reading level is grade four. Ifs he's reluctant to read, it may be because the books are too hard for her. Reading the lower level books may be what is need for her to catch up and move forward. Whilst levelling is a useful classroom tool to see where readers are at, and whether they are progressing, it can also create problems for parents and chidlren who think a child 'should' be at a certain level. I really like your response to this question; I have the same mindset - in this case it's not the content but the fact that the child loves to READ, READ, READ! In my class we have three ratings of books - holidays, just rights and challenges. We agree that everyone enjoys a good holiday book, something that's a little easy but good to get into. Just rights are the books that have the right amount of challenge and ease. Then there's challenges, which we sometimes struggle through and sometimes put aside. Hear, hear! I think being interested in the book is so important. I will read a difficult book if I am interested, but not otherwise. And I can remember loving to read easy books as a child because I could read fast (and today I'm an avid reader and I don't think anyone would question my literacy). Sally, I think it's a natural progression too. I mean, I do love picture books, still love picture books, will always love picture books BUT I also actually do read widely when I get the chance. I believe most kids will find their own pathway, especially if they are lucky enough to have supportive parents, teachers, librarians and the rest of the village. It's great to hear of reading aloud being a family priority, Rebecca. One thing I valued as a teacher was to spend time "selling" a book to my class as often as possible. Maybe it would be one of our read-alouds, but also i would talk about what i liked in a book, read a snippet, share the blurb on the back, remind kids about the author etc. I did this with Kinders all the way through to Grade 6, some might think because I just love to talk books(! ), but also because it made books more accessible to kids. And I noticed the same thing - if a book was a read aloud, kids would queue to borrow it or choose it for independent reading. The sad thing Caroline, is that it is very difficult to assign a test score to love of reading. I worry that with so much emphasis on testing, it is becoming more difficult for some teachers to share their own love of reading, and bring it out in their students. M.Dahms, thank you for sharing that classification. I think that's a nice one that kids can understand instantly and be able to use for their own reading. I am struggling to read a photoshop manual at the moment - I wish someone would invent a holiday version! Catherine, I am not sure how old you are, but I am old enough to remember SRA cards in the Australian primary school. They were colour-coded cards that contained a passage and (mostly literal comprehension) questions. Kids would read the passage, answer the questions, mark their work and move on to the next number in their colour. Obnoxious little brat that I was, I loved to see how fast i could go, and spent my reading lessons zapping through them to try to reach GOLD before my friends. I'm fairly sure little learning took place, I was lucky that real reading happened at home and in the library, where I was allowed to read what I wanted. Luckily, we have moved on from those sorts of lessons. There is so much wonderful children's literature now, and i know many curricula are based around it, and around all sorts of reading - reading in mutlimedia contexts etc. But in my experience, if we want kids to love reading, we will support their choice of literature. Excellent response to, what seems, a common question. And common globally not just in one place. My son has been pressured to read all the books at a certain grade before moving to the next. But it is exactly that, he is being pressured to read, rather than actually enjoy, and develop a thirst for reading. I have explained my position on this, more than once, and I can only think that teachers are under so much pressure to achieve certain targets that they keep on insisting on the number crunching. I completely agree with you. It's much better to allow a child, especially a reluctant reader, to read things he or she is interested in until the reading habit kicks in than to push the reading levels. Eventually, things will catch up with the child and he or she will likely be reading above grade level. This needs to be shouted from the roof top! We are doing our students such a disservice by requiring them to read a book simply because it is the level they "should" be at. We are killing the love of reading, "readicide". Challenging books need to be read in a supportive classroom setting. If we expect students to read these books on our time table on their own, we are throwing them into the sea with no life jacket. Students need to read challenging books but it should be done in a supported environment so that they aren't floundering through it and end up hating to read. I agree! Make it fun. Love reading. Tidy Books, I KNOW teachers are under lots of pressure, and it appalls me. I have seen anguished articles by teachers who want to read aloud to their students and have been told not to. There is a huge emphasis coming from politicians on quantifying each element of education, all in the name of accountability. And I believe the pressure this causes is passed on to kids. Michelle, I think you're right. That reading habit! Once it kicks in, it doesn't let go, and I just love to see that happen! Kelly, I like your metaphor there. Kids do need support- in fact, that support is vital to any learner, whatever their age. Floundering just results in a learner going under which means giving up. While I accept the need for kids to read certain chosen and challenging texts in an educational setting, with that support you spoke of, so they can be part of whole class literature studies, I believe the material they choose for their own enjoyment, for library books, for reading at home, and for independent reading should be their own choice. I hasten to add the proviso that if my nine-year-old son chose a book with sexual and violent themes from the library, I would sit down with him and explain why I wasn't letting him read it. Kelly Burstow, you've said it all in five words! Ooh, am I about to disagree with the Book Chook? Would I dare? Never. This topic has really got me thinking though. I totally agree with your answer to Concerned Mom. To see a formerly reluctant reader devouring books must be a delight to see. Who cares what level the books are that she's reading? For her to discover the pleasure that a good book can bring is surely the whole point of the exercise, and it seems that this young lady has done just that. At this point in this reader's life I would be encouraging her to read at whatever level she feels comfortable. Let her discover that reading is wonderful! So while I agree with you, I also disagree. I think it is important for children to aim for an age appropriate level...eventually. If they don't ever reach age level then they'll never read at an adult level and I would find that very sad. To me that's the definition of 'literate'. So those are my thoughts. The question is whether I am willing to press 'post'!! Please forgive me if I am out of line. I'm going to blog about this I think. May I link? PS I did the same things with the SRA cards. I was such a cocky kid. Ugh!! Ah, Jeanne, it's good to meet another SRA graduate who loves to read. Gawrsh....do you think those cards could be the key to being a successful reader? GULP! We should buy shares in the company. Well, I am so glad you pressed "post". I want The Book Chook to be a place where we can debate issues and trust that there will be mutual respect. I really do thank you for setting out your ideas here, and the way you agree, but also disagree. I think part of the problem is that i didn't make it crystal clear that i was talking about reading at home. Concerned Mom was, i believe, talking about what her daughter was enjoying as home reading. And my answer basically was : Let her love those books. Don't feel that she should be reading books for fun that are at her grade level or have Year 4 emblazoned across the cover. School is different. Although, if I were teaching in my ideal school, the principles would be very similar - a curriculum based around children's literature where love of reading was far more important than a test score. But if I had students who struggled with reading, I would give them intensive support. That support would be tailor-made to the particular child, and it would be partly designed around principles I believe in: my focus again would be on enjoyment. I would seek the key that would motivate the student, find material he wants to read, and share it with him. But that is just what i would do, and there are probably a million different approaches. The crux is, i wouldn't leave kids struggling. Struggle is exhausting, and it turns you off learning. I want kids to love all learning, not just reading! I hope everyone will feel confident that they are not out of line in making thoughtful comments on The Book Chook. This debate has been wonderful and I thank all the participants. I also have this problem at home. A reluctant reader. I have wasted much breath forcing her to read...anything. Recently, I discovered that my daughter loves trivia type books such as Guiness Book of World Records. You mentioned comic books. These are about a step above those. I guess I'm a book snob, but I don't really consider this reading. It's like snacking instead of eating a good meal. Though I suppose if she reads other books, it's okay to snack too. What really bothers me is that my daughter's school, in an effort to 'promote' reading is actually turning her off of some books. You see they have this "Book it" program. The teacher sets a goal every month and if they reach it they get a free pizza. Sounds good? Consider this. The goal is the same for every kid and if they don't participate, they get sent to the principal's office at the end of the month. My daughter's goal is 2 books, not much. But she's afraid of picking up a longer novel because she thinks she won't finish it in time for the Book it. I think this is one of the main reasons she's reading lower level books. However, it does warm my heart that she is reading anything at all willingly. My husband and I are both big readers and we do read aloud (though not as often as I would like). I still love picture books too and I'm not adverse to picking one of those up for fun. Hopefully, the abundance of books in our house will fall on her head one day and leave an impression. Thanks for a great blog post that sparked an even better discussion. Kim, thanks for sharing your views on this topic. I like your analogy about snacking - I think many of us have an idea of what constitutes "real" reading. But my logic tells me so long as children love to read, they will continue along their own particular pathway to adult reading, dipping into comics and ebooks, snacking on magazines about wrestling and Mills and Boon, and maybe settling on becoming a collector of rare books! Wow, an incentive based program where you get punished if you don't participate and pizza if you do. Is it just me, or does that seem a strange way to motivate kids to love reading? Hear, hear! "if we want kids to LOVE reading, we should let them read what they enjoy, regardless of their perceived ability or grade level. " I wish there was a way to get that message across to all parents and teachers. I think the problem comes Jen, when some people put other goals ahead of love of reading. But as a parent, and speaking clearly here of reading at home for pleasure, I believe that should be our primary goal. I do understand that in educational contexts there needs to be other goals. Deep down though, I still think love of reading should be first! I cannot agree more!!! Love your response! !